Each siding choice makes your house look different. 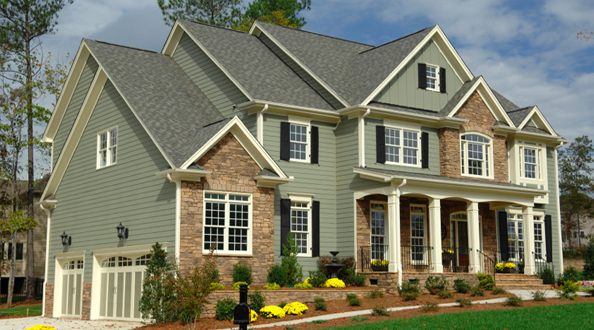 Traditional Vinyl Siding offers comprehensive siding accents and allows you to express yourself more than ever before. This type of siding comes in different styles: double 4" straight, double 4'' dutchlap, triple straight or double 5". Traditional siding is available in many colors as well. If you are tired of painting and just want to have maintenance free house at an acceptable price, then this is the right choice for you. No need for paint or stain, so harmful VOCs aren't released into atmosphere. Traditional Siding crafted of readily available natural materials-- this siding is safe, sustainable and recyclable.